With 30 years of experience in providing and overseeing quality civil engineering projects, Delahunt Plant Hire has amassed a range of expertise in a wide range of fields. We have a company ethos that puts the customer first and we strive to achieve 100% customer satisfaction in every job we undertake. Our unique approach involves working closely with the customer to ensure we stick to set budgets and finish all work within an agreed upon timeframe. 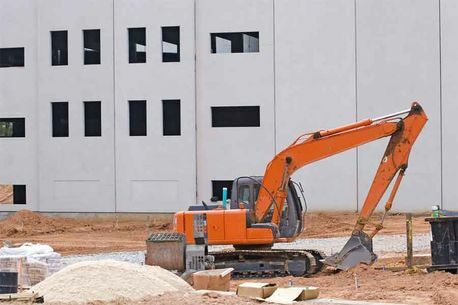 With so much experience and so many satisfied customers, Delahunt Plant Hire is the right choice for all your commercial and private civil engineering projects. Do you have an upcoming civil engineering project? Then get in contact with Delahunt Plant Hire today 0872625873. Any successful build is based upon the quality of the building’s groundwork. Delahunt Plant Hire has been providing customers with professional and comprehensive groundwork services for 30 years. Whether it’s ground levelling or the prepping of a site for a foundation, Delahunt Plant Hire has the experience and the expertise to complete your project to the highest professional standards. Delahunt Plant Hire is available to help drain grasslands and prepare land for farmers. With so much state-of-the-art machinery at our disposable, we’re able to drain water-logged fields and prepare land for the laying of piping. how we can help drain and prep your land. With 30 years of experience in civil engineering, Delahunt Plant Hire has laid hundreds of miles of piping over the years. Our experience makes us the ideal choice for any project that requires the digging of trenches, and the installation of a piping infrastructure. Delahunt Plant Hire’s service extends to the extensive demolition and deconstruction of large scale structures. For 30 years we’ve developed a sterling reputation for our safe and professional demolitions. We have our own fleet of demolition vehicles that are maintained to the highest professional standards. Do you need a structure to be deconstructed or demolished? Then get in contact with Delahunt Plant Hire today.